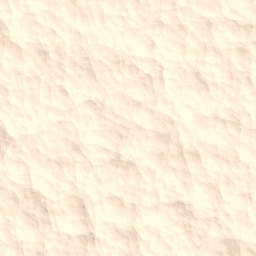 Calanthe calanthoides (A.Rich. 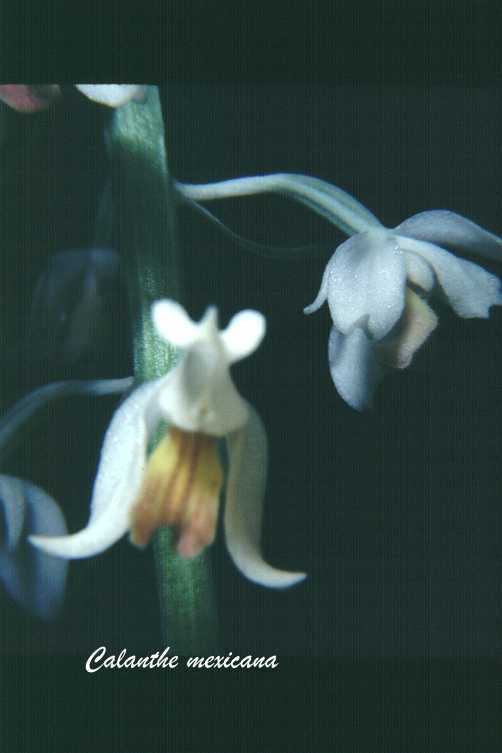 & Galeotti) Hamer & Garay 1974 SUBGENUS Calanthe SECTION Ghiesbreghtia Photo by © Daniel Jimenez. Another Flower Photo by Carl Withner. 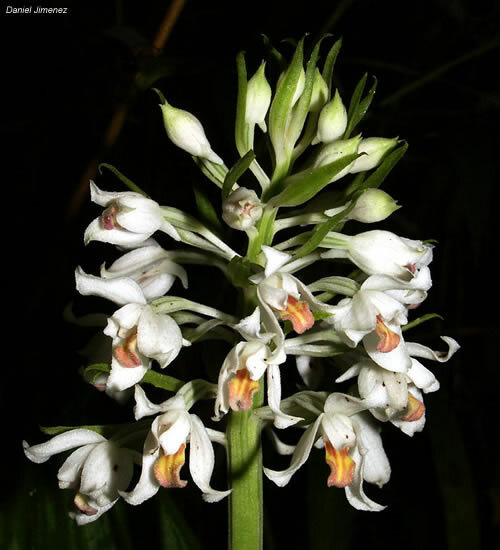 Found in Mexico, Guatemala, Honduras, Costa Rica, Panama, Colombia, Haiti, Dominican Republic, Cuba and Jamaica as a medium sized, cool to cold growing terrestrial in cold shady habitats in montane and lower montane forests at elevations of 1750 to 2600 meters with light green corms enveloped by sheaths of the leaves and foliaceous bracts with oblong-elliptic, acute to acuminate, plicate, prominently veined leaves and is conduplicate at the base into a conspicuous petiole that blooms in the winter again in the summer and again in the fall on a terminal, 2'4" [70 cm] long, erect, many flowered inflorescence that is as long or longer than the leaves and subtended by conspicuous, acute to acuminate bracts. The plant turns blue if damaged or bruised.